Subeen vai you have done a great job for our youth generation who are wasting their time on Facebook,internet surfing and watch movie. It's time to spread the knowledge of programming among youth generation. Once again Thanks for such a great work. One request for all who read my comments please share this site on your Facebook,Twitter,Google+ status. 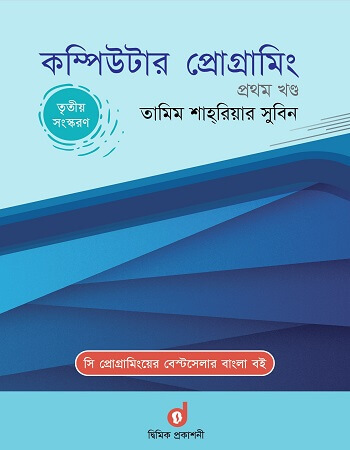 এটা নিঃসন্দেহেই একটা ভালো উদ্যোগ. 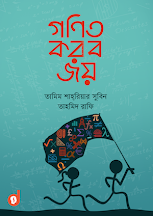 শুভকামনা রইলো.. I remember my time of learning c and missed such type of book a lots. Hope this book will help all of new programming learner. ভাইয়া পুরো বইটা ডাউনলোড কোত্থেকে করবো ? Sorry but I don't see any link in the post. Which one is the link of your book? Brother,do you have any C++ book or tutorial in bangoli? to write you in google. i am a mac user , i can not compile c code in mac ? how can i do it ? Yes, background doesn't matter much. One can be a programmer if s/he has passion and works hard. This book won't help you for outsourcing work. It will only help to start learning programming. Does this blog have a FAQ option and is the book is available in PDF? ভাই, অষ্টম ও নবম অধ্যায় কই ? My programming Learning start by your Book. I am done your hole book practice 6th time and I have Clear C Programming basic concept. present I am learning java for my career. use ";" at the end of printf() operation.